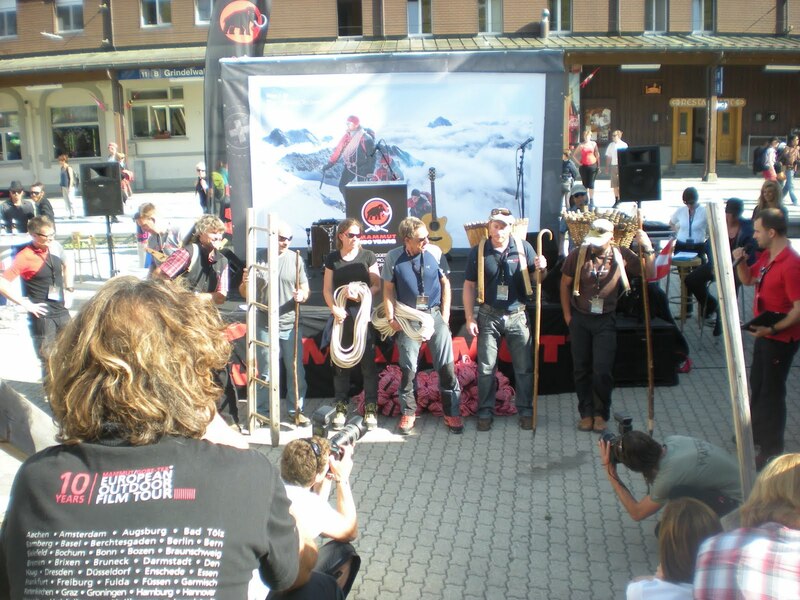 The Mammut Anniversary Basecamp kick off event was a fantastic experience from the beginning to end. I attended the event with over 100 journalists, mountain guides, and Mammut staff in the Jungfrau Region of Switzerland this past week to celebrate Mammut's 150th year in operation. From start to finnish the event was non stop. Groups climbed the Jungfrau and the Monch peaks, we attended workshops, and were treated to excellent Swiss cuisine each day. 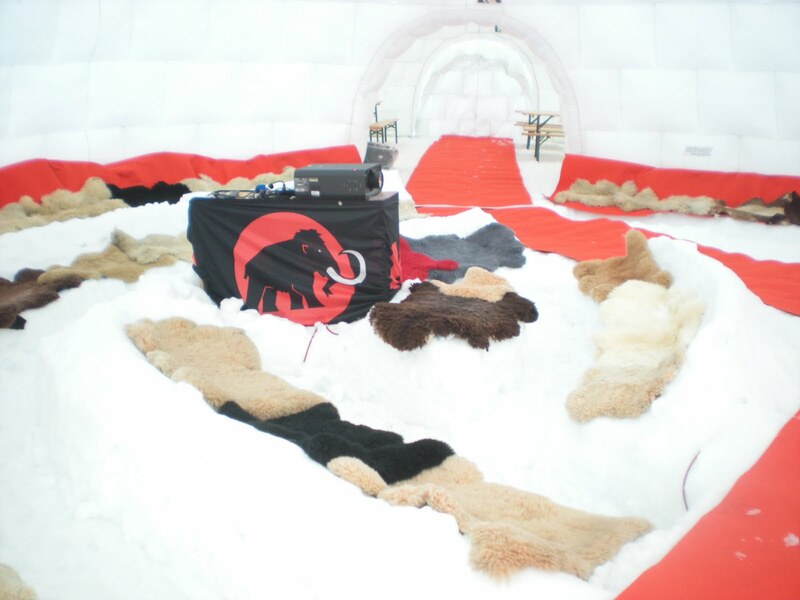 From the photos you can see that Mammut went all out to make this event one that will be remembered for years to come. The general area known as the Top of Europe for the Anniversary Basecamp Event. The North face of the Eiger in wet conditions. Mammut's CEO Rolf Schmid giving the opening speech for the event. Live music, food and drinks on a sunny afternoon below the Eiger. Mountain guides in period gear - ready to climb the Jungfrau the following day. The window looking out onto the Eiger North Wall. Take a good look at the entire base camp to the lower left of the peak. The massive basecamp with over 150 Hilleberg tents, a first aid tent, two large Igloo style tents for the meals and lectures. The lecture Igloo with seats covered in sheepskin. IFMGA guide Clint Cook checking out the new tent. The celebration would not be complete without a cake. Here I am with Tracy the designer for the new 150 peaks jacket. Great weather and conditions on the Monch. Thanks to Mammut for this amazing experience - it was an honor to be one of three mountain guides to represent the US. Cheers Art! It was a fantastic couple days for sure.